Aviva Kalagas is a Melbourne based artist who creates cute & whimsical animal portraits. Since picking up a pencil and trying her hand at drawing just three years ago, Aviva hasn't stopped! Aviva creates art reproductions from all her original illustrations, printing on our beautiful eco-friendly paper Hahnemühle Bamboo, and frequents various markets around Melbourne. She is currently in the process of setting up her website to enable her to sell online. Fibre Based Gloss Papers - These papers are made with real paper fibre - usually cotton rag fibre. 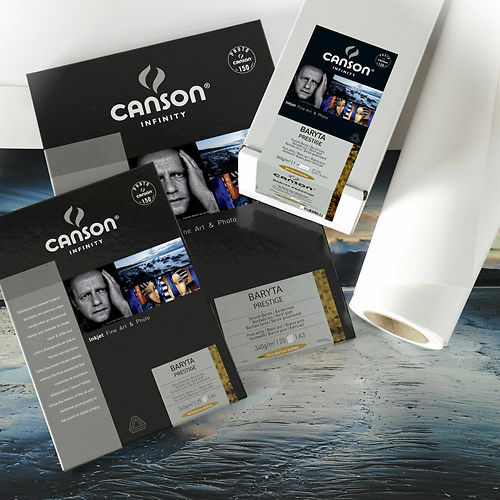 Specifically designed to mimic the traditional photographic air dried fibre based darkroom papers. 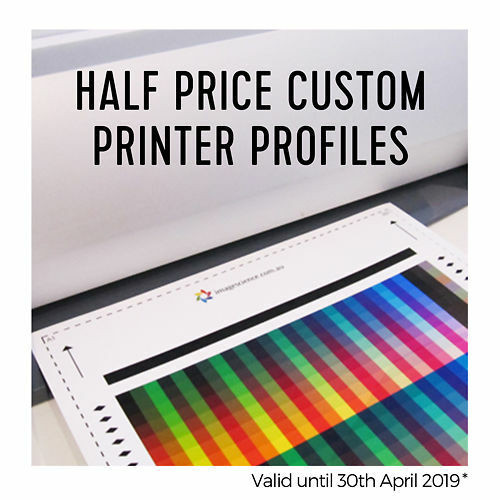 The beauty of these is that they offer very classically photographic results, but for the first time the same papers can be used for black and white AND colour - something never possible with the darkroom equivalents. Resin Coated Gloss Papers - Resin here is a nicer way of saying plastic. Resin coated semi-gloss papers offer a robust surface to work with (resistant to fingerprints and the like), but with the good D-Max and the large gamut typical of gloss papers. These are good, pedestrian papers for day to day printing e.g. of family photos. Pigment inks and very high gloss papers are traditionally not the best of friends, with some issues with gloss differential remaining even now. It's the one area that chemistry printing can still claim to be competitive with inkjet printing. 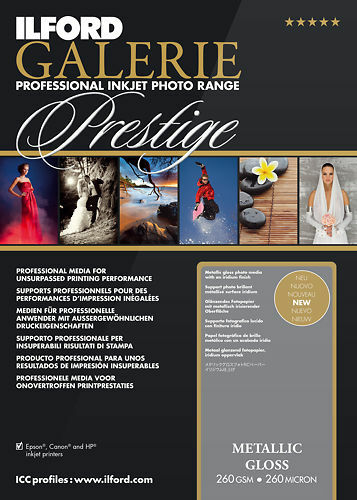 This is because the inks sits on top of the inkjet coating, whereas with traditional photo chemistry the light sensitive layer is below the gloss. That said, there are some good options - and whilst you may not get quite as pure a gloss as with chemistry prints, you do get all the other inkjet benefits - like wider gamut, deeper blacks and vastly greater print longevity. 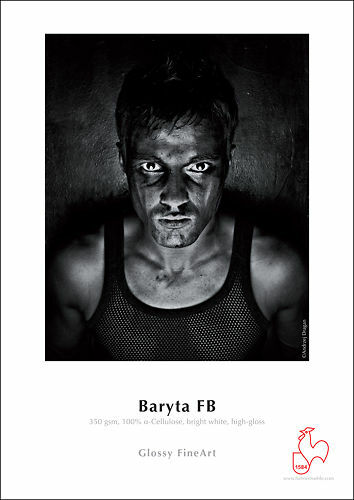 Hahnemühle Photo Rag Baryta - described by Hahnemühle as a high-gloss but more of a gloss baryta in our terms. 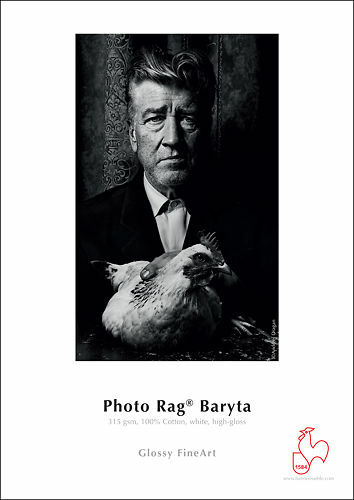 This is a beautiful fibre based, 100% cotton rag paper perfect for archival quality prints! Ilford Gold Fibre Gloss - a new player in 2016 and perhaps the best of all the darkroom replacement papers. And equally at home with both colour and black and white! 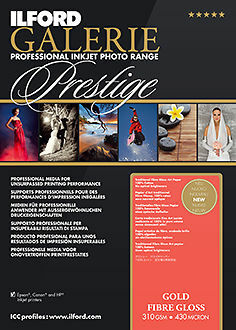 Hard to go past Ilford's classic resin coated gloss paper here - one of the best selling inkjet papers in the world. 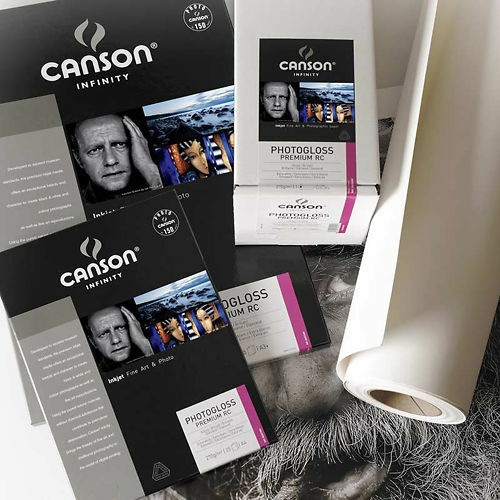 A good alternative is Canson's PhotoGloss which is a bit cooler in tone. 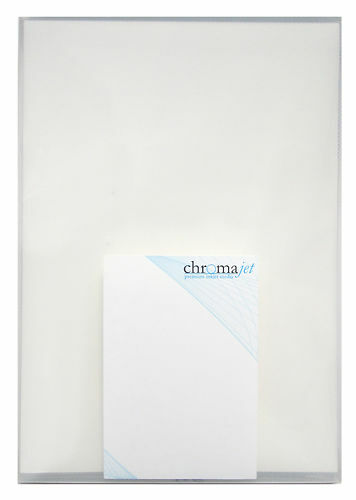 Chromajet Metallic Pearl - the best inkjet match for Kodak's classic Endura Metallic paper (but better than the Kodak stuff!). Very high gloss and with a unique 'pearlescent' appearance (i.e. metallic warm grey - the pearl here does not mean semi-gloss! ), a very high impact paper great for landscapes and architecturals. This should be tried by everyone at least once, for the right images it is a remarkable paper. 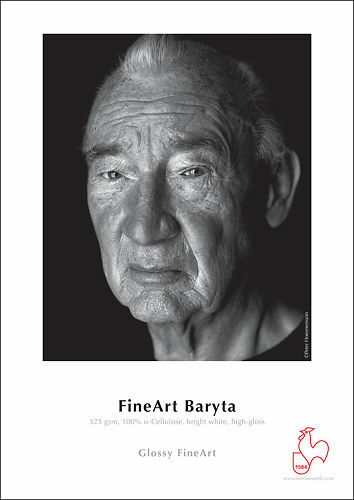 Hahnemühle Baryta FB - Hahnemühle's glossiest paper! It contains a fair amount of optical brighteners to give it a bright white paper tone but is great for creating strong black and white images. 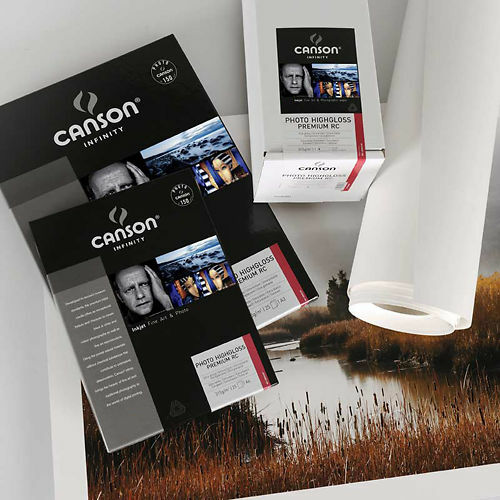 Canson Infinity Photo High Gloss - Resin coated and about as high gloss as you can currently get in the inkjet world. 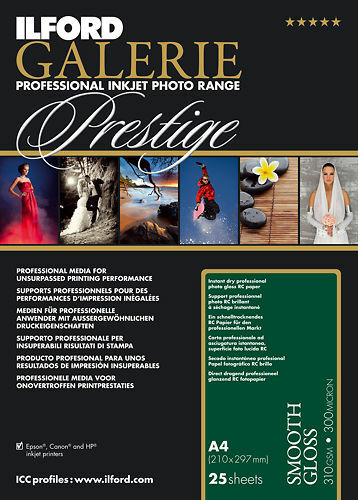 A beautiful glossy paper designed specifically for a high quality photographic output!